We have a huge responsibility to help protect our incredible planet. Presently, we appear to be living in a time of calamities: all across the world, our eco-system is under threat. Global warming is creating unfathomable disasters. Which is why it has become crucial to be sustainable and be aware of our impact on the environment. Even while travelling, we can contribute to the conservation of our planet by being environmentally conscious at all times. Taking steps to reduce our carbon footprint while travelling and choosing to stay in hotels that are eco-conscious and sustainable go a long way. 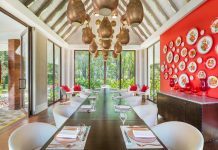 In India, some of the best hotels are realising their responsibility and are taking action to be eco-friendly and supporting their local economies. Here, we pick 10 of India’s finest hotels that have excellent sustainability practices in place. On the occasion of World Environment Day 2018, this hotel implemented the use of biodegradable paper straws. Moreover, its employees have undertaken numerous conservation drives such as picking up litter in Nehru Park, New Delhi. Employees collected 30 kgs of trash strewn in the park and moved it to the designated garbage disposals. Shangri-La’s – Eros Hotel also has an operational food waste management system. This beachside resort takes pride in its sustainability efforts. The Sheraton Grand Chennai Resort & Spa has a water recycling treatment system on its 10-acre grounds. The hotel’s wastewater is recycled and used to maintain its sprawling well-manicured gardens. Furthermore, the property is in the last stage of moving to renewable wind energy. Spread over nine acres, this urban oasis offers a unique, environmentally conscious gourmet experience. The freshest indigenous produce is showcased in the hotel’s food menus. The restaurants use locally sourced organic ingredients in all its dishes. The diverse food menus are simple and focus on instinctive cuisine, which highlight local fruits and vegetables over imported produce. 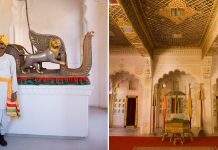 This stunning heritage property received the Rajasthan Energy Conservation Awards and the EarthCheck Gold Certification for the last three years for its conservation efforts. The Taj Jai Mahal Palace, Jaipur has an organic waste recycling system, which converts discarded wet food waste and garden refuse to fertiliser for its 18-acres’ Mughal-style landscaped gardens. Soaring 24 storeys above the heart of the Garden City, the iconic Conrad Bengaluru boasts an impressive façade. Only energy efficient LED lighting has been used in this hotel. Conrad Bengaluru, which overlooks the captivating Ulsoor Lake, also has a disposal converter in place. The waste management system converts usable garbage into compost, which is then used in the hotel’s extensive lawns. Situated in the Sahyadri hills, this property’s 320-acre pristine setting supplements its organic local grown cuisine, yoga and meditation programmes, and individualised spa treatments. 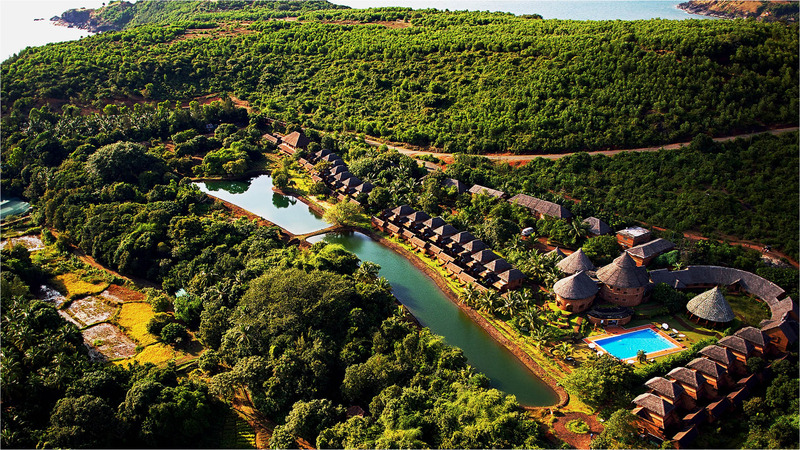 Hilton Shillim Estate Retreat grows its own organic produce and sources all ingredients locally. Along with serving farm-to-table food, the hotel composts its waste as well. This yoga and Ayurveda wellness sanctuary helps you find harmony within yourself by being one with nature. Located on the serene Om Beach in Gokarna, this retreat serves only produce grown on its organic vegetable farm and from the neighbourhood. Moreover, SwaSwara harvests rainwater in its own reservoir, which has a capacity of 18 million litres. Fish keep the rainwater harvest lake clean naturally. Epitomising a world of style, this luxury hotel is elegant and trendy. When it comes to being environmentally conscious, the Hyatt Regency in Delhi has many aces up its sleeve—it uses renewable energy and has a sewage treatment plant, amongst other sustainability practices. The hotel has also been certified by the Green Business Certification Inc. at the platinum level of Leadership in Energy and Environmental Design. This property showcases the beautiful countryside of Kumarakom, Kerala. Coconut Lagoon constitutes villas built by local craftsmen overlooking the tranquil Lake Vembanad. The resort has its own composting plant, which converts garbage into fertilizer. It also offers solar-powered boat rides to its guests, and all meals at the resort are prepared from produce from its own organic farm. The Dune Eco Village is an eco-friendly beach resort in Pondicherry, spreading across 35 acres of unspoiled nature. The resort has been built with emphasis on well-being, organic living, nature, and purity of the mind, body and soul. It features 62 well-appointed villas, which have organic linen, a solar water system, and low consumption bulbs. The property’s restaurants serve healthy food, which is made using vegetables and fruits from its organic farmland.